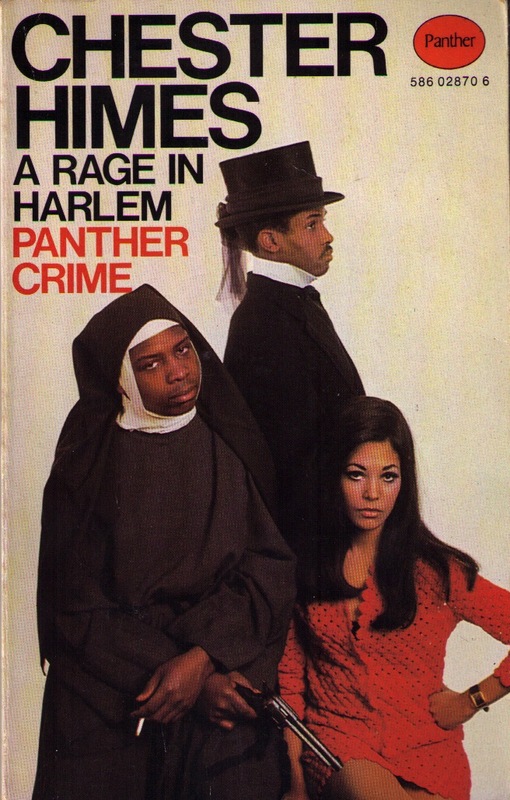 Today’s Pulp Friday offering is A Rage in Harlem by Chester Himes. Himes is a difficult author to categorise. He’s wrote a number of excellent, fast paced, darkly humorous crime novels, of which the so-called “Harlem Domestic” series featuring the black police detectives ‘Coffin’ Ed Jones and ‘Grave Digger’ Johnson, are the best known. He also wrote a large number of short stories, as well as polemical and literary works focusing on his experience of racism in the US. Born into a poor family in Kansas in 1909, by the age of 19 he’d been sentence to 25 years in jail for armed robbery. He started to write in jail. Upon his parole he made attempts to start a writing career, financing his efforts through a myriad of jobs. But success eluded him until the early fifties when he moved to France, where the translations of his early novels had met with critical acclaim.